Choosing a school for your child is one of the most important decisions you will make when considering whether to live in China. Living in China is a lot easier when you know that your child’s education and happiness are taken care of and there are plenty of local resources available to guide you when exploring the culturally diverse and bustling metropolis of Beijing. We have prepared a brief Beijing guide for you to browse through as you prepare for your move to China. New families will get a wealth of useful tips and information through the school. Ready to apply to our school? Fill out an online application form today! 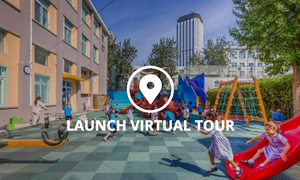 Take our Virtual Tour and explore the school today!